“The wealth of knowledge and experience of an already extraordinary career has been made even richer by General Mattis’ latest endeavor as Secretary of Defense, and we are fortunate to once again be beneficiaries of his acumen," said Tom Gilligan, director of the Hoover Institution. 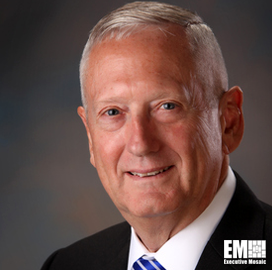 Mattis was named Annenberg Distinguished Visiting Fellow at Hoover in 2013 and became Davies Family Distinguished Visiting Fellow in 2015. He is also a former member of the institution's Working Group on the Role of Military History in Contemporary Conflict. Prior to becoming DoD secretary, Mattis served as Marine Corps general and led troops during his four-decade career as an infantry Marine. He also served as DoD executive secretary and as senior military assistant to the deputy secretary of defense.